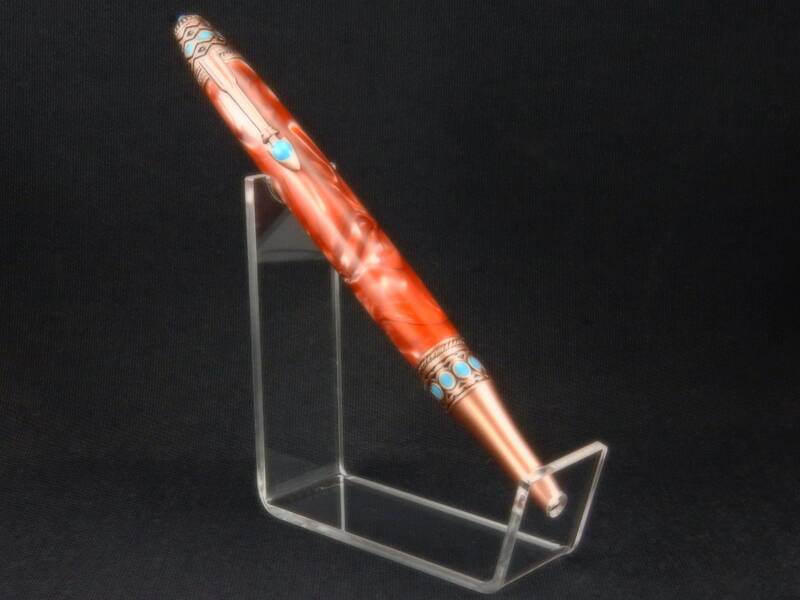 Designs strongly influenced by the American Indian of the American southwest, this pen makes for a beautiful writing instrument. This one is made using copper resin acrylic and is paired with copper. The pen accepts Parker style refills, available in office supply stores nationwide.